Principal Permanent Secretary Mario Cutajar (left) and the Prime Minister’s chief of staff Keith Schembri. The Family Ministry engaged just under 90 individuals without a public call being made since 2017, Times of Malta is informed. Despite strict rules restricting the number of persons of trust a minister or parliamentary secretary can employ in the private secretariat, information given in Parliament shows that the Family Affairs Ministry engaged 21 new officers through a secretariat contract and another 22 on person of trust contracts. The Parliamentary Secretariat for Active Aging hired 16 on secretariat contracts and 14 persons of trust. Ten people were given a secretariat contract and another three a position of trust contract at the Housing Parliamentary Secretariat, which also falls under the Family Ministry. The information was given following a question tabled by Nationalist MP Claudio Grech. The difference between secretariat and person of trust contracts was not explained. Staff engaged in private secretariats from outside the civil service have so far always been considered as being persons of trust. It could not be established whether all those engaged by the three entities since 2017, most of whom would benefit from higher salaries than typical civil servants and enjoy special benefits, such as car and communications allowances, are still on the government’s books. In the case of the Family Ministry, the data includes the first six months of 2017, when the office was occupied by Michael Farrugia, now responsible for home affairs. This also applied to the parliamentary secretariats. Questions sent to the ministry on the number of persons of trust still on its books and whether the recruitment was in line with the ministerial code of ethics remained unanswered at the time of writing. Senior government sources said that, although numbers might have changed slightly, it was “very likely” the rules laid down by Principal Permanent Secretary Mario Cutajar were being ignored. 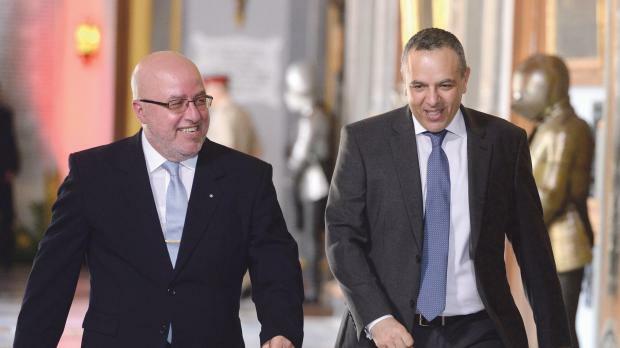 According to a manual of procedures, released by Mr Cutajar, ministers are allowed 19 members in their private secretariats and 11 in the case of parliamentary secretaries. Ministers can only have up to four advisers on a person of trust contract, though the number can rise to six if the ministry includes a parliamentary secretariat. In his list, Family Minister Michael Falzon said persons of trust were also employed with the Housing Authority, the Foundation for Social Welfare Services, the Department for Social Security and other entities within the ministry. Those employed directly on a ministerial recommendation included managers, messengers, drivers and customer care officers. Times of Malta reported last October that even Prime Minister Joseph Muscat was not in line with the code of ethics with regards to the appointment of advisers. Though his office could have a maximum of eight consultants, 11 were on the books. These included former deputy prime minister Louis Grech, former ministers Manuel Mallia and Alex Sceberras Trigona, former parliamentary secretaries Stefan Buontempo and Deborah Schembri, former Labour MP Maria Camilleri and Labour converts Cyrus Engerer and Marisa Micallef. Questions sent to Mr Cutajar remained unanswered.